Funeral date: ? ? ? 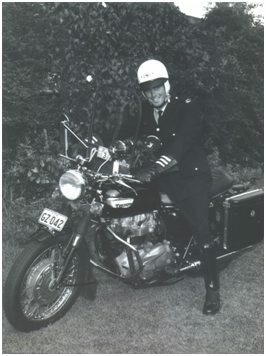 On 21 December, 1969 Constable Reiher was riding a Police Special Traffic Patrol motor cycle on the Princes Highway at Figtree. It is thought that the constable was attempting to stop the driver of a station sedan for a traffic offence and as he overtook the vehicle his cycle flipped over. He was thrown into the path of a vehicle travelling in the opposite direction and killed instantly. The constable was born in 1946 and joined the New South Wales Police Force on 13 May, 1968. At the time of his death he was stationed at Wollongong. 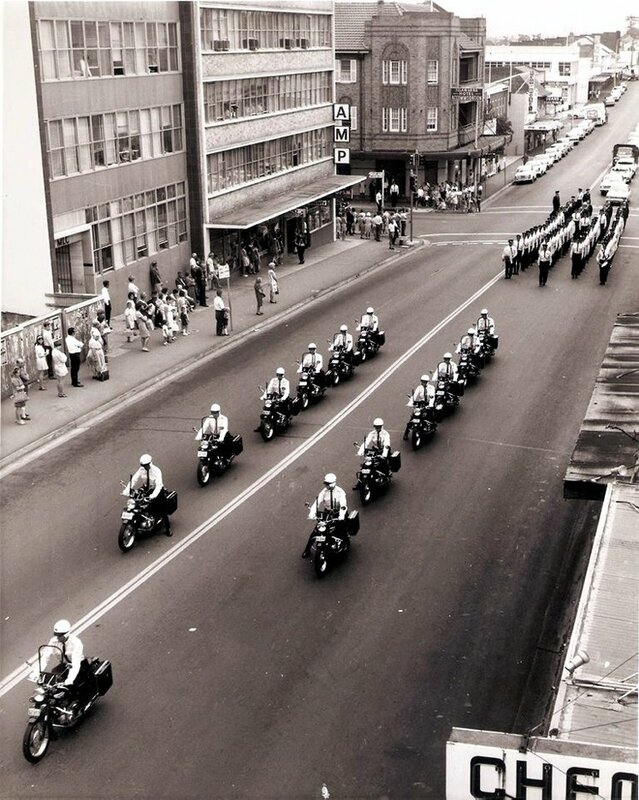 The NSW Police Force carries on its logo the phrase “Proud Traditions since 1862“, but capturing the history of these traditions at an operational level has never been a priority for the force. However, almost 150 years after it was first formed, NSW Police – and Acting Southern Region Commander Gary Worboys in particular – is using history as a tool to instil pride in those wearing the uniform. Three memorials for Wollongong police officers who died while serving the community were unveiled at Wollongong Police Station yesterday at a ceremony attended by family members and former colleagues of the deceased officers. The memorials, located in the hallway of the detectives’ floor, feature images and biographies of the men as well as an account of the incidents that led to their deaths. The memorial wall was Mr Worboys’ idea, with Senior Constable Dave Henderson given the task of completing the project. Snr Const Henderson said the project had involved research through police archives, old copies of the Illawarra Mercury and interviews with family members. Mr Worboys, who will return to his former role as Wollongong Local Area Commander at the end of the month, said he became inspired to record police history during his time as commander of the Goulburn LAC. It was there he heard about a policeman who’d been shot by bushranger Ben Hall’s gang at Collector. Mr Worboys said research led to the discovery of the grave of the officer, Samuel Nelson, in a cemetery near the police station, but it was found to be an “absolute shambles“. The grave was restored and distant family members invited to take part in a subsequent ceremony, proving to Mr Worboys the value of history to the police force. Mr Worboys said the memorials not only represented distinguished service, but the trauma, grief and heartache suffered by families. 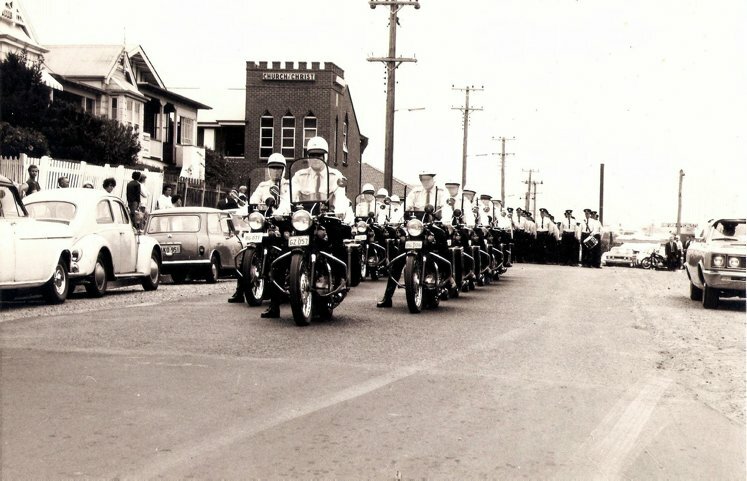 He said the last death of a Wollongong officer on duty was in 1969, and he hoped no more stories would be added to the wall: but the memorials were a reminder that policing was a dangerous occupation. Among those at yesterday’s ceremony were Constable David Reiher‘s father Bruce ( RIP – Nov 2009 ), and Constable Ray Paff‘s widow Valerie, who described the memorial as “a wonderful tribute” to her late husband. “It may have been a long time ago. But you never forget,” she said.